(Bass Builders). The pentatonic is one of the most widely used scales in music. 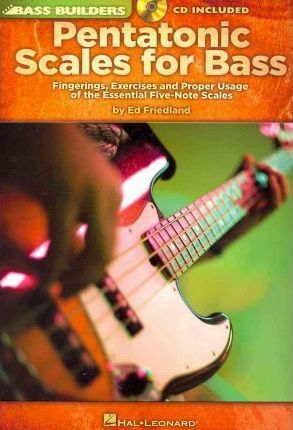 This book teaches fingerings for these essential five-note scales all over the neck, and how to use them to create solid, functional bass lines. The audio contains 56 tracks and features full-band demonstration examples. Covers: major and minor pentatonic scales; one- and two-octave scale patterns; pentatonic modes and their applications; soloing with pentatonic scales; and much more! Audio is accessed online for download or streaming using the unique code inside each book.